The Palace of Curia, opened in 1926, was the target of an amazing and careful project of an integral remodelling and reopened recently, preserving and honouring all its mysticism, classical ambience and grandiosity, and recovering this ways its own status as a unavoidable piece in the national hotel business panorama. Surrounded by a wide private park, by vines from Bairrada and by the Golf of Curia, it’s the ideal refuge to know the Rout of Wines of Bairrada region, wines with history, wine cellars and magnificent wine tourism stations, enjoy of a luxurious accommodation, one of the main Spas in the Centre of Portugal, fascinating public zones, wine and gastronomic benefits of high quality, golf and a leisure space at open air with no pair in the country, all together with the rare natural view of an artistic beauty. The hotel has 100 luxurious ROOMS and suites, of classical proportions. The majority of the ROOMS has outstanding outside views to the gardens of the Hotel, the pool, the golf course and the thermal park, you can also find more quiet ROOMS with a view to the interior gardens and patios. The Restaurant Belle Époque, with the Chef Carlos Pimental, offers an elaborated and balanced Menu inspired in the contemporary cuisine and in emblematic historical dishes from this House required by generations of guests. 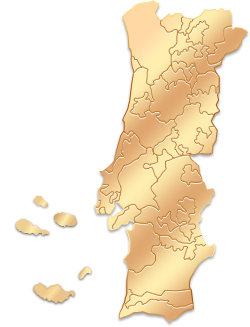 The wine menu highlights, naturally, the biggest sparkle, red and white wines from the region of Bairrada, especially from Bussaco. Contiguous to the hotel park lies the bucolic park with thermal springs and its huge lake, and competitive golf of 9 holes par 34, crossed by the Rio Cértima, which, alongside the lakes, is always your challenge plus. The hotel also offers a Spa, where you can enjoy a fantastic experience, as well of MEETING ROOMS to a well successful conference or a memorable weeding. The restaurant Belle Époque, is a secure port for all that, in the OST of the 30’s and 40’s - Ella Fitzgerald, Charles Trenet, Bill Thornton or Maurice Chevallier, among others –, want to taste regional gastronomic specialities, simple and authentic, or well-known courses of international cuisine. The wine menu highlights the famous wines from Bussaco, ex-libris of the Portuguese wines and produced since 1920 to the group hotels, a must do experience for those who like wine activities. It lies at the hotel entrance, social gathering place for afternoon tea, the crude aperitif of Bairrada or digestive. Dance floor and private bar for special events. Relaxed atmosphere for simple meals and drinks by the pool. The Curia Palace has rooms in ideal conditions to make big events socio – professional and social celebrations. Capacity for about 200 people. Capacity for about 280 people. Capacity for about 70 people. Capacity for approximately 280 people, which can be accommodated with the majestic Restaurant "Belle Epoque" and its terrace to accommodate up to 550 people. The Curia Palace have a Spa with a exclusive interior pool of jests, Jacuzzis, Japanese baths, sauna and Turkish bath, as well, four rooms to relaxing therapies, and aesthetics treatments, as massages, body and facial treatments, among others. The hotel is located in the centre of the heart of thermal of Curia, between Mealhada and Anadia and is inserted in the wine zone of Bairrada, north of Coimbra, in the road Lisbon/Porto, with easy and convenient access through the exit n.9, in the Highroad A1 / Mealhada for who in going south, or n.10 / Oiã, for who comes through the north. "Excellent!!! two thumbs up. The tour the wine and everything was amazing. We enjoy our two visits and our stay at Curia Palace."